This is a wonderful achievement and I have passed my own congratulations to all the staff here, right across the school, as well as the children of course. These results don’t happen by accident but are the outcomes of hard work, enthusiasm and determination to succeed. I feel, however, its also important to thank the work of governors, who are an integral part of the leadership and support network here, as well as, of course, parents and carers who are the driving force behind their children and who are so supportive of the work that is being done here. Congratulations everyone! 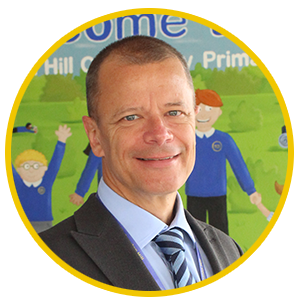 I would also like to take this opportunity to thank two individuals, Mrs Elaine Wright and Mrs Carolyn Anderson, who have recently decided after many years of commitment and hard work, to step down from the Governing Body here at Dunston Hill. The role of governor is a pivotal one, encompassing support of the school but just as importantly, challenge to ensure that we all remain on the right track. Both retiring governors have been a huge part of life here in school and also in the community giving a lot of their own time in the process and, on behalf of the staff, children, parents, carers and other governors I would like to thank them both for their significant contributions to life at school. This week, to celebrate Safer Internet Day, we had special assemblies to remind us of the importance of staying safe when we are using the internet. This year’s theme was ‘Together for a better internet’ and reminded us of asking permission before we share any information online especially if it is personal information. Children were also reminded that staying safe on the internet applies all year round and reinforces the learning taking place in class. Just a reminder our Parent Consultations are next week. Monday and Tuesday for Nursery and class 6R. Tuesday and Wednesday evening for all other classes. We look forward to seeing you. We are delighted this week to welcome back Mrs Warrilow following her maternity leave. As Mr Sutherland previously mentioned Mrs Warrilow has come back in the role of SEND lead and will be overseeing SEND and inclusion in school until our new appointment is made. Mrs Warrilow will then return to the Nursery where I know she will be welcomed back with open arms. Mrs Warrilow will be available on Tuesday and Wednesday evening based in our IT suite should anybody wish to see her. We are delighted to be able to introduce the club and visit booking facility on our new online system Schoolgateway. As well as the payments facility parents are also able to give consent for their child(ren) to attend clubs and visits at the same time. The deadline for parents/carers to sign up is Friday 5 April when we will become a cashless and paperless school. Thereafter, all communication, payments and visit/club bookings will only be accessible through Schoolgateway. Those parents/carers who do not have a smart phone or tablet in which to download the app may still access the facility through a web browser by visiting www.schoolgateway.co.uk. We would ask that parents/carers download the app if possible as texts may be sent at no cost to the school. Click on the link for the simple instructions on how to signup:: http://www.dunstonhillcps.co.uk/…/Parent-App-intro-letter-0…. Our office team are only too pleased to assist you to register if you are experiencing any difficulties. Finally a huge thank you to those parents/carers who had already signed up by Thursday 31 January who were in with a chance to win a prize. Congratulations to our very own Mrs Holmes (Midday Supervisory Assistant and Parent) who won the first prize of £100 Intu vouchers. The deposit of £40 for our next residential visit to Dukeshouse Wood Centre for our current Year 5 children is due by next Thursday 14 February. 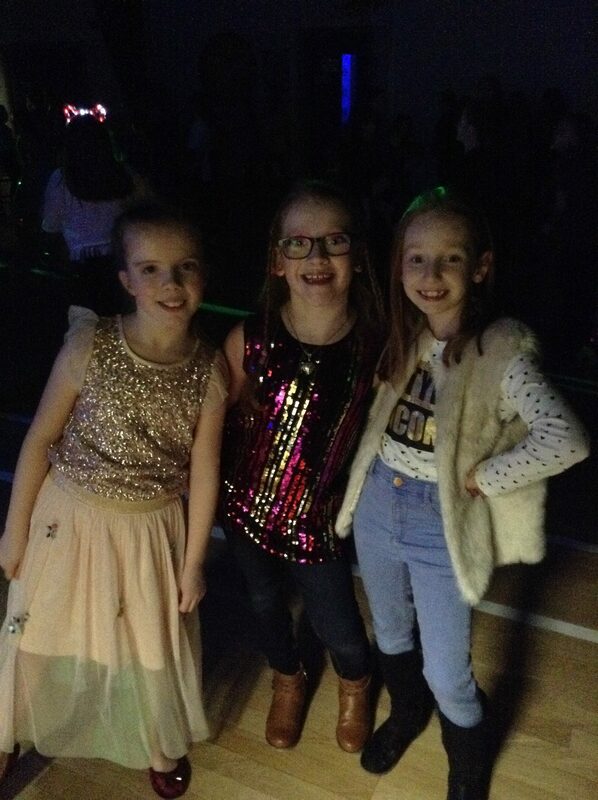 On Tuesday Evening we had a fantastic time at our Valentine’s disco, there was lots of fun and laughter and some boogying around the dance floor to some familiar tunes such as ‘baby shark’. Thanks to all those that joined us. As part of Children’s Mental Health Awareness week, children in school have taken part in a range of different activities to understand the importance of looking after their minds and emotions. It has been lovely to see all classes identify different feelings and in part, look at different ways in which the children can deal with these. 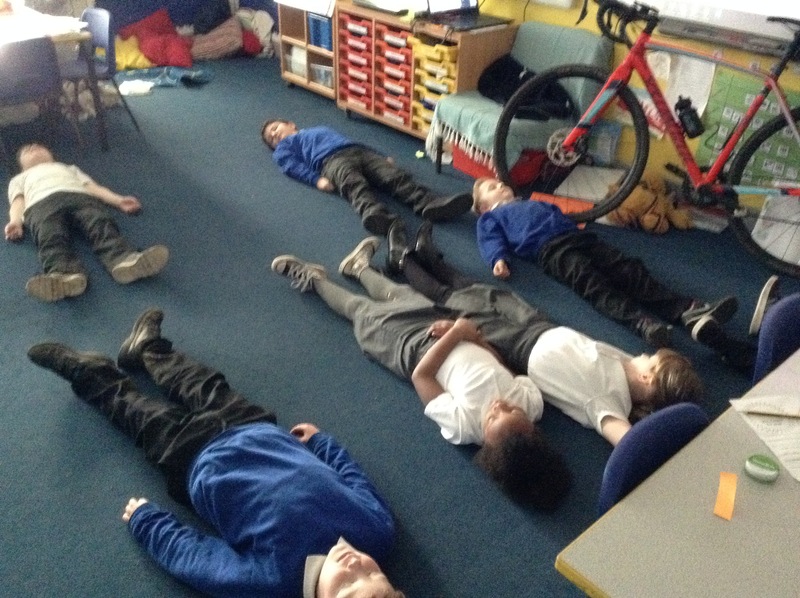 In Year 2, the children discussed what it felt like to be angry and learnt strategies to help calm themselves down. In Year 5, the children discussed the difference between mental and physical health and looked at ‘small, everyday feelings’ and how we can represent these using pictures. 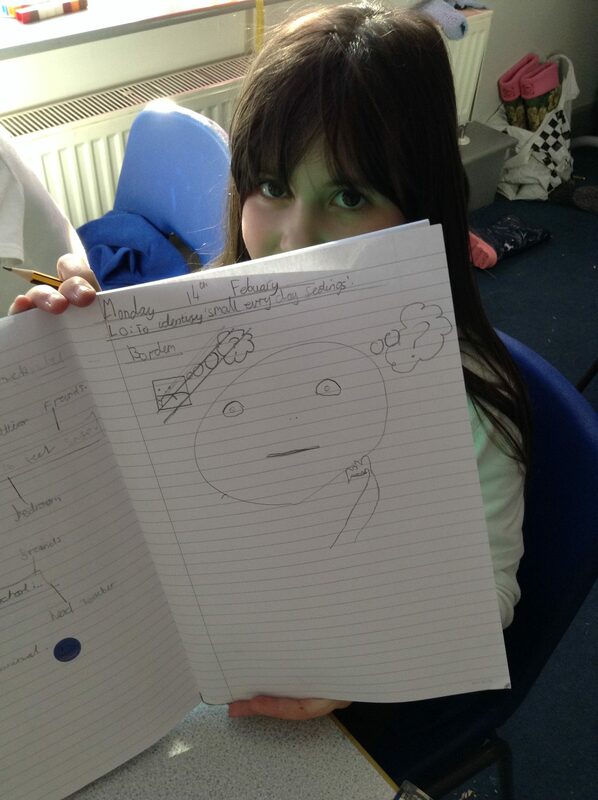 To raise awareness in Year 6, the children identified what mental health is and how it can affect you. 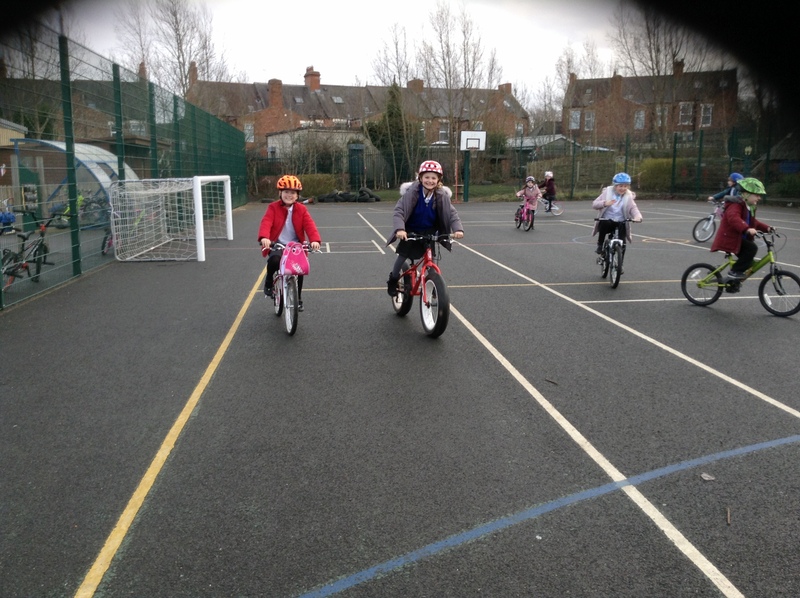 They also looked at how to help themselves as well as each other using various recommended strategies e.g. yoga, mindful colouring and who to turn to for help. 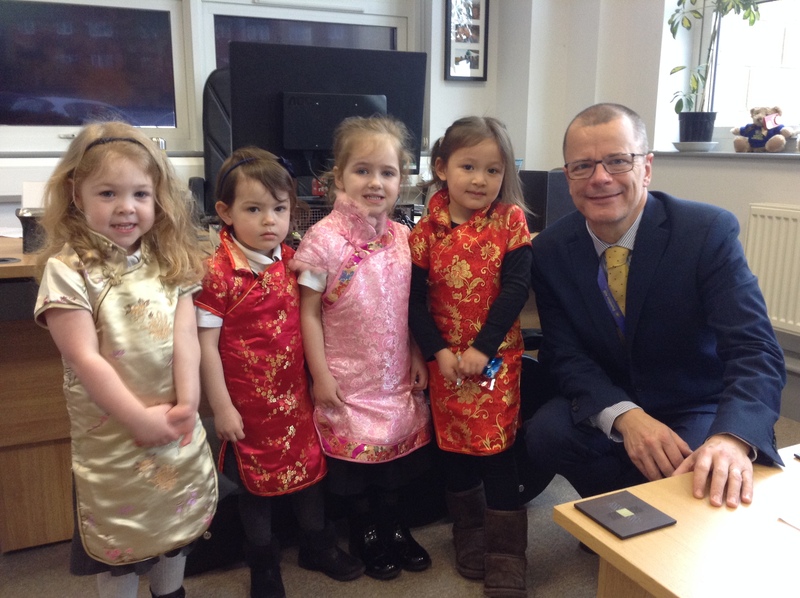 Mr Sutherland received some special visitors from Nursery who were celebrating Chinese New Year today. They kindly gave Mr Sutherland a fortune cookie and went to see some of the items Mrs Anglesea brought back from her visit to China in March last year. 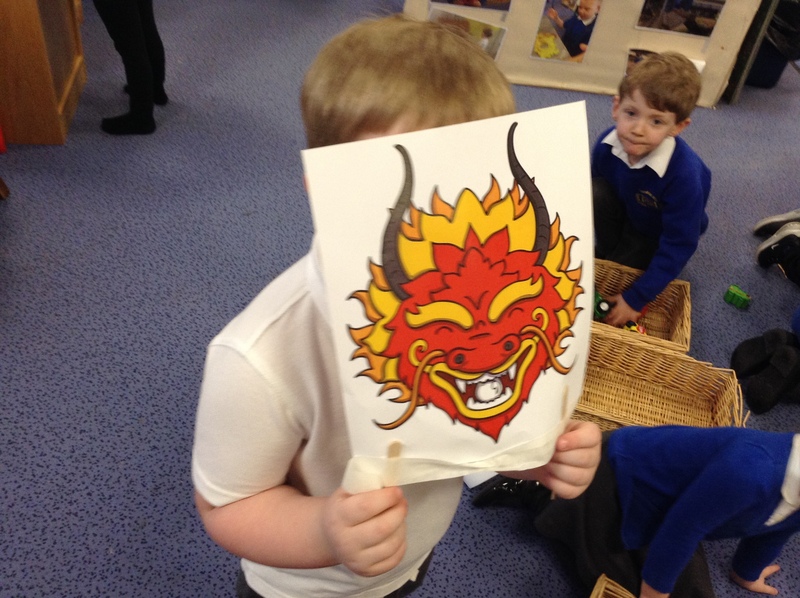 Pupils have been making oriental masks and dressing in traditional Chinese clothing to celebrate the turn of the Chinese calendar. In China, it is also known as the Spring Festival. Chinese New Year celebrations typically last for around 15 days, ending on the day of the full moon. It is a time where families come together and wish each other peace and prosperity for the year ahead. In 2019, Chinese New Year began on Tuesday 5 February. 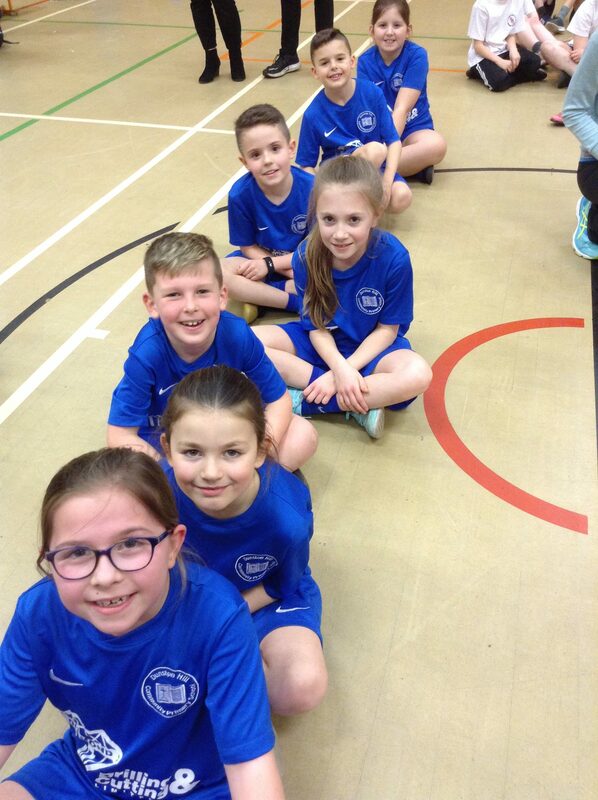 On Wednesday after school, 14 year 4 children accompanied Mrs Donaldson and headed to Whickham School where they took part in an inter-schools competition. 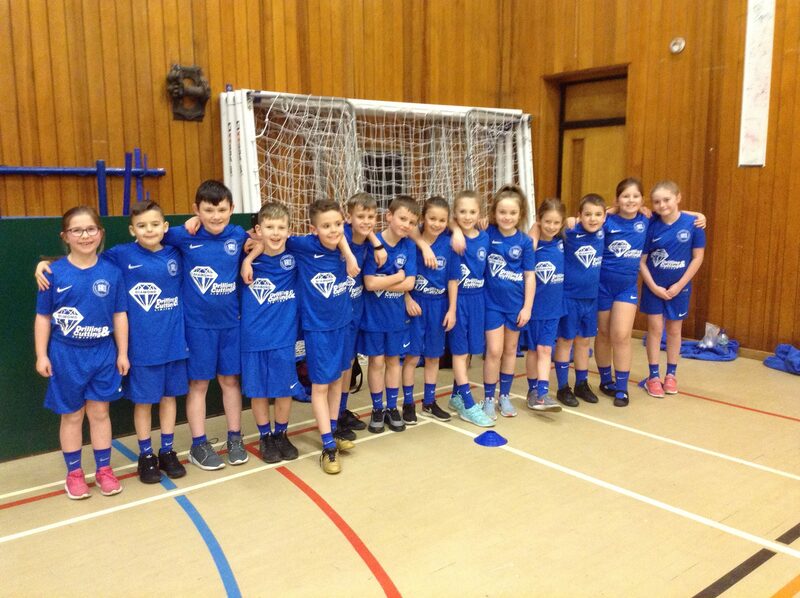 They were an absolute credit to Dunston Hill and just missed out on a place in the semi-finals by goal difference. They played extremely well and we are so proud of them – well done! This week the children in KS2 were lucky enough to take part in a Judo Taster session, which everybody thoroughly enjoyed! The children wore judo robes and had the opportunity to play lots of judo style games and learn some very technical judo moves such as a judo grip and judo throw! They worked brilliantly together in their pairs and as a whole group, listening and respecting the rules of judo to ensure they were practising safely and sensibly. The children had lots of fun – we definitely have some potential judo experts amongst us! Judo classes are available at St Nicholas’ Church on a Friday evening, however, there are a range of other classes on offer across Gateshead. 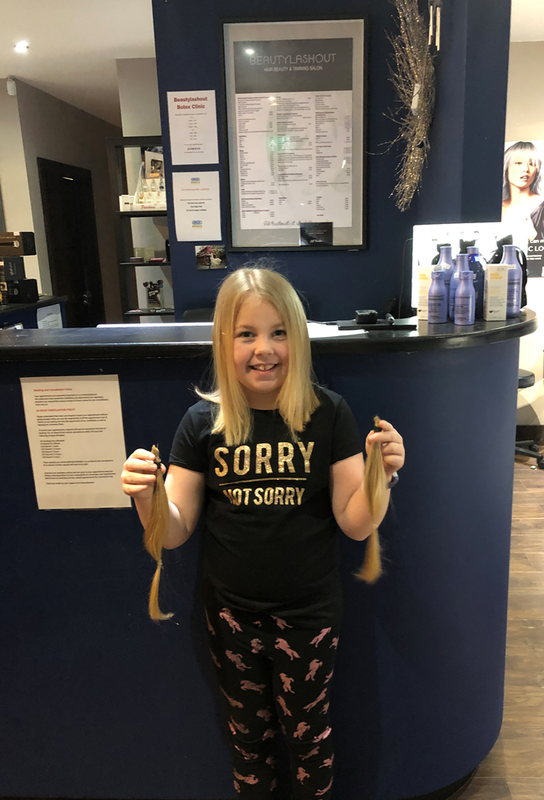 This half term, Ella-Rose selflessly cut off a huge 30cm of her hair for charity! Her long, blonde locks reached down her back and now she is sporting a shoulder-length bob! But The Princess Trust charity have benefited from her hair, as it will be made into wigs for young children in need. 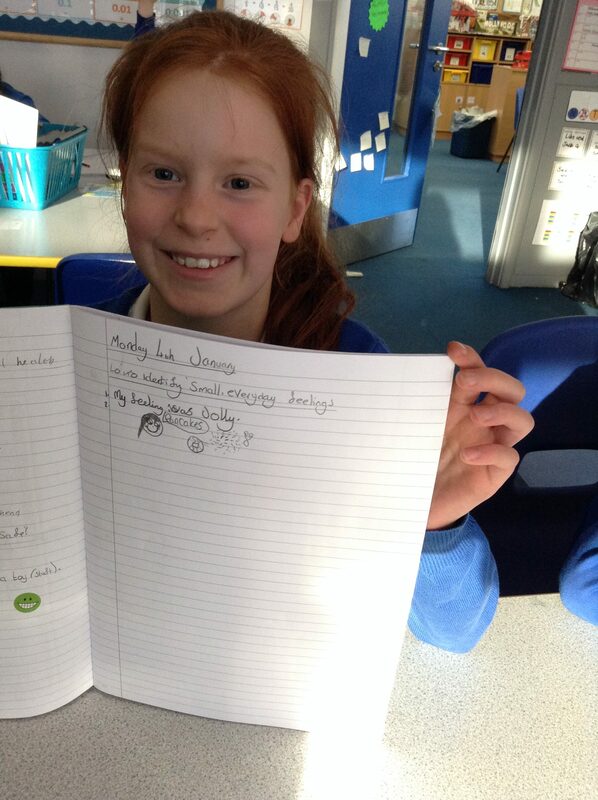 Well done Ella, we are so proud of you for your act of kindness!